Maine Black Bear : We invite you to come spend a week hunting the elusive black bear, also known as the "Ghost Of The Woods". We have thousands of acres where the black bears thrive. Our baitsites have been active since 2005 and well developed. 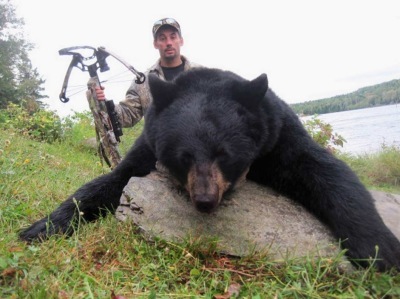 So come harvest your Maine Black Bear In The North maine Woods. Hunter Bob Pratschler and Guide Wayne Bennett with his 54" 885lb monster bull. Eagle Lake offers a number of different species of fish, Landlock Salmon, Lake Trout and Brook Trout. We also offer guided remote Brook Trout fishing. 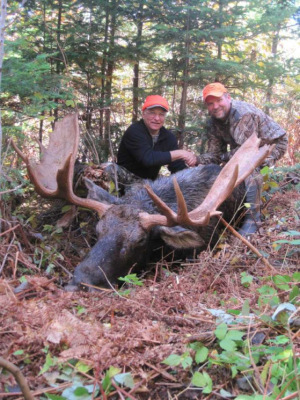 Hunting the North Maine Woods for big bucks can be rewarding if you put in the time. We have semi-guided hunts or hunt on your own. There are 200lb plus bucks roaming the big woods. Book your deer hunt today for a chance to bag the big one. 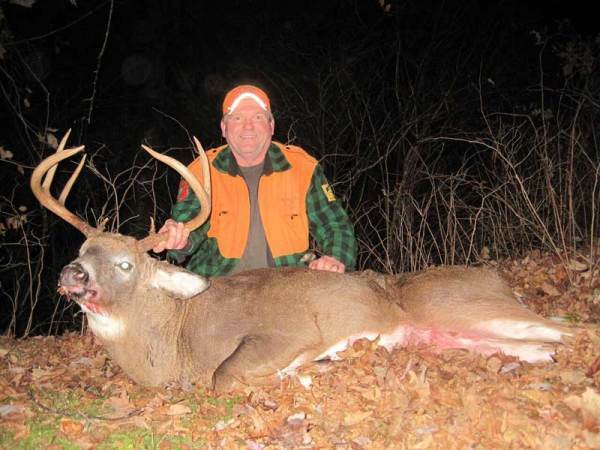 Guide Wayne Bennett with his 241lb 8 point brute. Wayne Bennett lives in Portage Lake and operates Fish River Lodge Eagle Lake in Eagle Lake Maine. 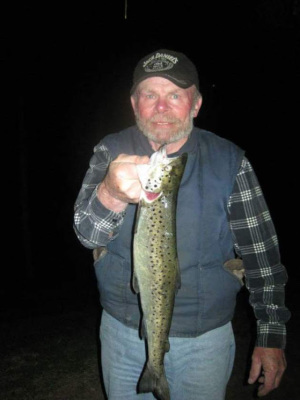 He has been a Registerd Maine Guide for 15 years. A guide that knows the North Maine Woods.